“Downtown Looking Up” written by Cathy Still McGowin in the October issue of Birmingham Home & Garden details the exciting transformation of the 18th floor of the John A Hand Building. The building originally was the American Trust and Savings Bank Building and although the building has seen many renovations over the years, the 18th floor still had the typical look of an office space from the 1912 era. Staying true to the historic architecture while transforming this space to a residence was a challenge but Mike Gibson of Appleseed Workshop was up to the task. The beautiful living space is a mix of old and new. 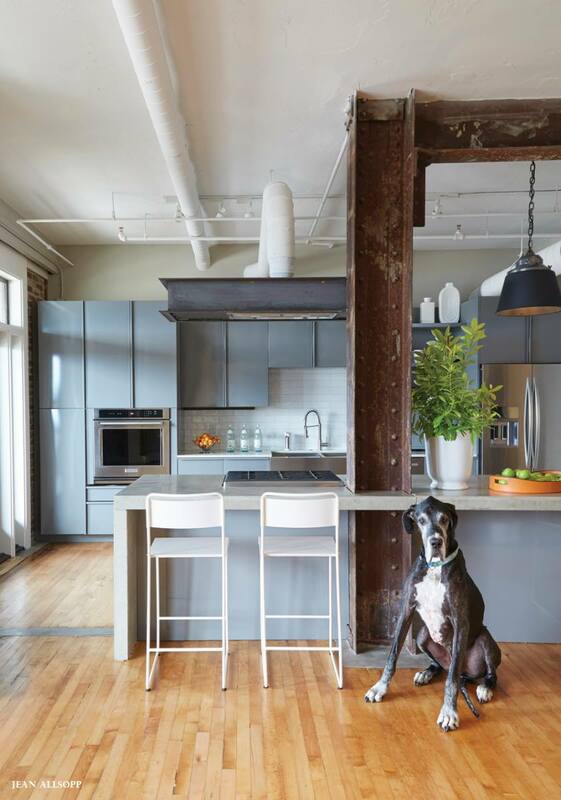 The home has exposed brick, original flooring and repurposed office doors. 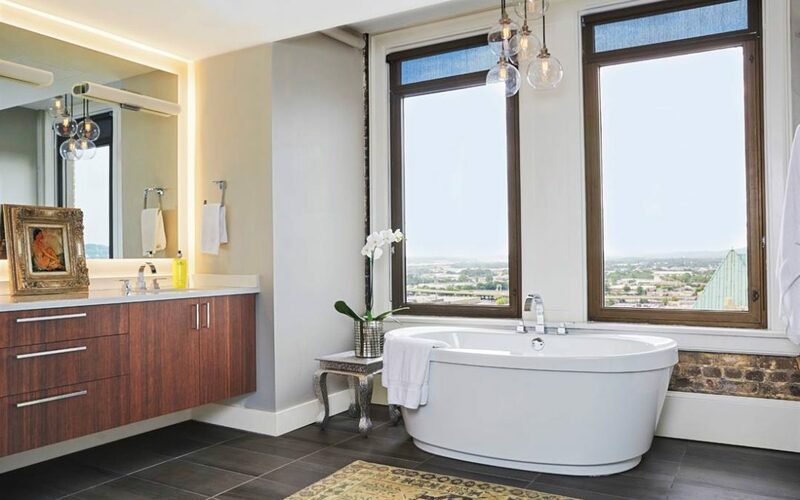 Walls of bamboo cabinets for TV, storage and display space, a luxurious soaking tub, and beautiful countertops of white quartz are some of the new elements that blend beautifully with the cool industrial look and feel of the space. The white quartz countertops installed by Surface One are Q by MSI in the color “Snow White”. The stunning views and the location add to the beauty of this lovely space. Surface One was pleased to be part of this downtown Birmingham project. This beautiful kitchen in Mt. Laurel features stunning gray and white Montclair Danby Marble fabricated and installed by Surface One. 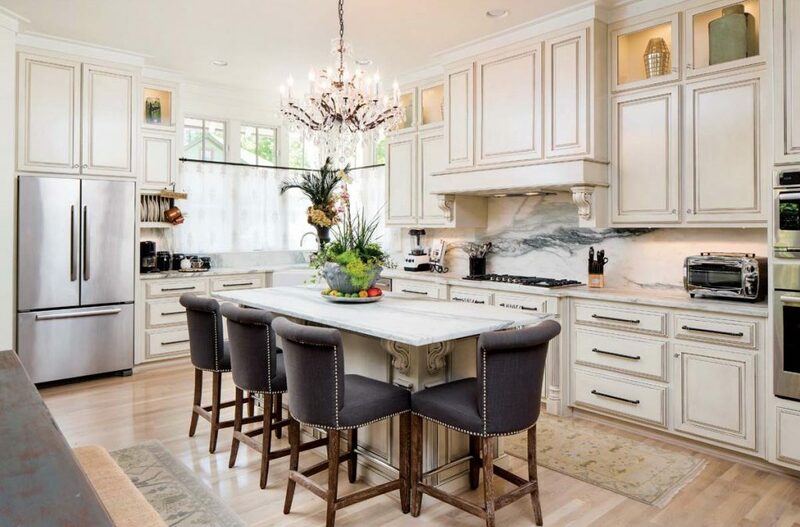 The custom made cabinets, the paint palette of white and gray, and the white oak floor stained with a deluded white country stain all pair beautifully with the white marble. This featured home was brought to life by builder John Freeman and architect Chuck Frusterio. Read more about the home in this feature article “Dream Home: Charmed in Mt Laurel” by b-Metro.